Leading design-minded firms understand that design is the link between creativity and innovation. However, the road to becoming a design-minded firm is not easy. The biggest barrier to success is a lack of ownership of design management. If the business executives are reluctant to own design, then CIOs are best placed to lead and refocus your firm’s design efforts in the short-to-medium term. More specifically, the CIO can steer your company’s efforts to incorporate the three best-practice design methods: design thinking, systems thinking, and integrative thinking. Design thinking generates value by combining the exploration and exploitation of new ideas. 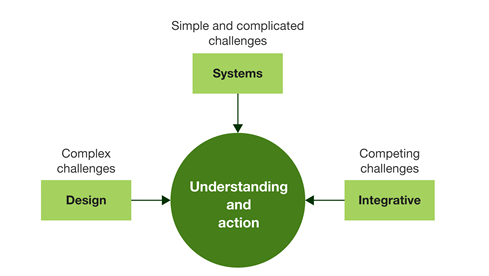 Use systems thinking to determine how your business operates and how functions fit together. If you are focusing on a problem area, integrative thinking can help you understand relationships between elements and define a solution. Successful design-minded organizations employ design in all areas of decision making. To do this, your CIO can help your company adopt a formalized design process to develop new processes, products, and services. A good design leader will communicate how design connects business objectives with the customer experience and the value added by design. Customer-obsessed firms such as Coca-Cola, Disney, GE, IBM, Nike, and USAA are also design-minded firms. They have a single role accountable for design within their organizations. They also have employee onboarding processes in which new employees undertake design courses enabling them to create a culture of design. For these companies, their design processes pave the way to their successes because they allow them to identify problems early in the process. This is unlike traditional companies that are impeded by processes that target a perceived or poorly defined problem. Notably, managing design leads to better outcomes. Firms that have a design competency can support ideation, deliver better outcomes, and increase customer satisfaction. For CIOs who lead design management, innovation is a core competency. Design-driven innovation can change industries, enabling firms to drive the market rather than simply adapt to it. As a result, innovators become architects and designers who can lead new markets. The quality of your design process has an enormous impact on your firm’s ability to succeed. Thus, design leaders should focus on collecting accurate and precise data to use in robust, statistically validated analyses that drive decision making.